Take 42% off the entire course. Just enter slmardan into the discount code box at checkout at manning.com. With GraphQL and Apollo, data flow in APIs is clean, lean, and simple to master. 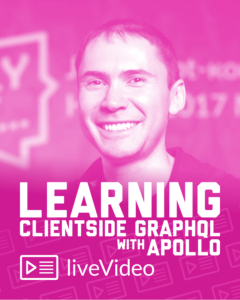 Brought to you by Azat Mardan, best-selling author and founder of Node University, this liveVideo course will provide you with all the skills necessary to start using GraphQL and Apollo. 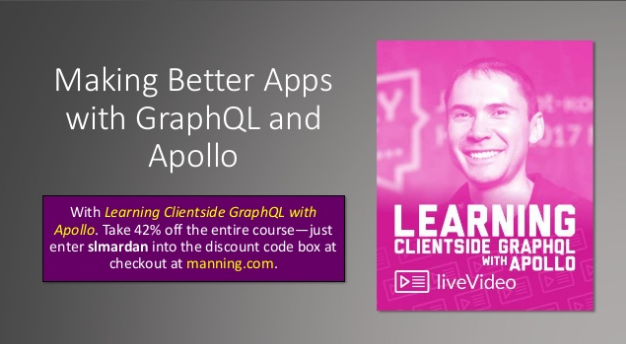 As you build a completely self-contained application, you’ll discover firsthand how easy and effective your front-end applications can be when using GraphQL and Apollo!